The managing director of a private company in Pune has been arrested for allegedly sexually harassing and stalking a woman employee, a police official said today. The industrial firm's top official, aged 58, was arrested on March 6 after a 34-year-old employee, in her police complaint, alleged that she received "objectionable" text and voice messages on her phone from the official and that she was being stalked by the 58-year-old managing director, Mundhwa police station's senior inspector Anil Patrudkar said. However, the managing director was later released on bail. 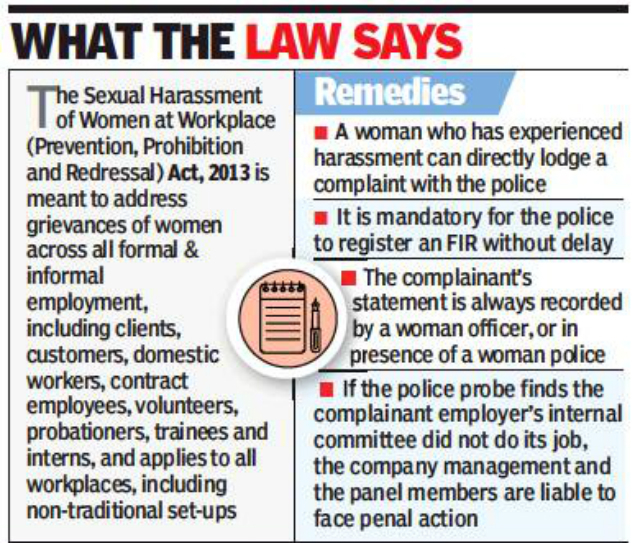 Before approaching the police, the woman had complained to the firm's internal sexual harassment committee but claimed that no action was taken, Mr Patrudkar said. "The complainant, while registering the case, had furnished all the evidence including the text and voice messages sent by the accused and recorded conversations, which are laid with sexual overtones," he said. "On the basis of the complaint, we registered a case under sections 354-A (sexual harassment) and 354-D (stalking) of the Indian Penal Code against the man," he added.